Apple’s main rival, Samsung, has just unveiled its new flagship devices, the Galaxy S7 and Galaxy S7 Edge. In terms of design, both gadgets are pretty similar to their predecessors, however, there are several features that make these phones completely different. The first feature is water and dust resistance. The smartphones support the IP68 standard, which means they can be placed underwater for about 30 minutes. Looks like not only Apple is working on improving the water resistance of its devices. The second improvement is battery life. 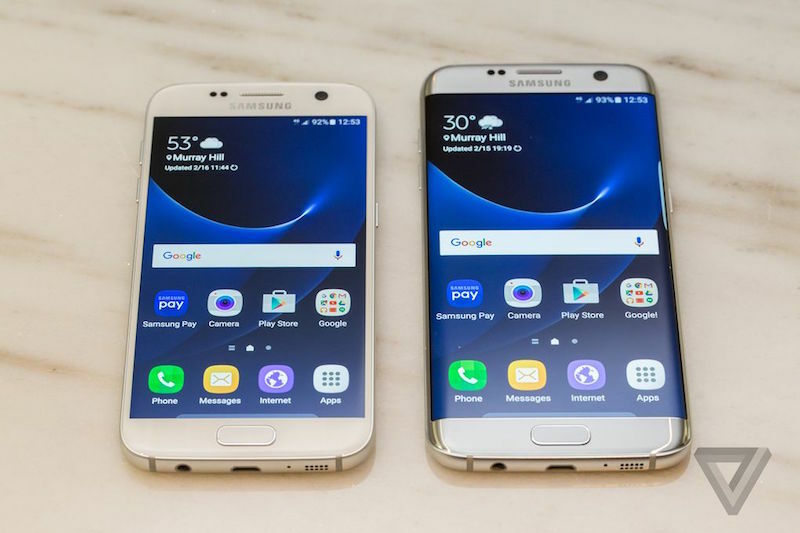 The smaller Galaxy S7 has a 3,000 mAh battery and the Galaxy S7 Edge features a 3,600 mAh battery, which is a noticeable improvement in comparison with the handsets released last year. The third feature is expandable storage option. The handsets now support microSD cards with a capacity of up to 200GB. Together with 32GB of internal storage, that’s a nice enhancement. Below you can take a look at the official introductory video for the Galaxy S7 and Galaxy S7 Edge. What do you think about the handsets? Do you think the iPhone 7 and iPhone 7 Plus will compete with them on equal terms? I’m waiting for your comments below.